On the WordPress editing page for Pages, there's a sectioned labeled Page Attributes, which contains a choice of templates that you can use to override default settings for that individual page. Please note the choices in the Template field are set by your theme. If you use a different theme, you may have different choices in the Template field. 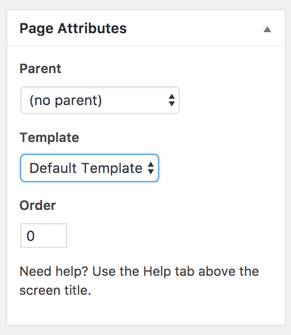 To change the page template, click the Template dropdown and select your template. Click Publish to save your changes.